Sime Mackenzie, a detective based in Montreal, has recently separated from his wife and is suffering from chronic insomnia. Given he’s a fluent English speaker in a mostly French-speaking force he is assigned to a team, that includes his wife, a crime scene investigator, being flown to the Magdalen Islands in the Gulf of St Lawrence to investigate the murder of rich businessman on the remote Entry Island, stabbed to death in his own home. Kirsty Cowell claims that she was attacked by a man wearing a ski mask, who killed her husband when he intervened. Circumstantial evidence, however, suggests that she was her husband’s killer. Lieutenant Crozes, who's charge of the investigative team, wants to wrap the case up quickly and is happy to take the obvious route. Sime, however, senses that they are making a mistake, but his judgement is clouded by an acute lack of sleep, the presence of his estranged wife, and a sense that he shares a connection to Kirsty Cowell even though he’s never met her before. 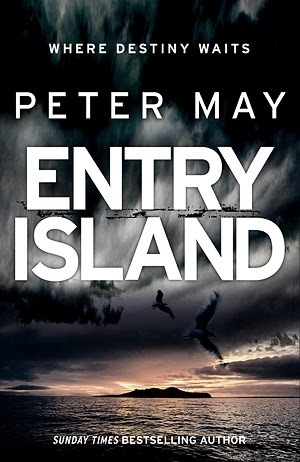 In Entry Island, Peter May weaves together two stories, separated by almost two centuries -- a murder investigation on a remote island in the Gulf of St Lawrence and a doomed love affair on the Isle of Lewis between a crofter’s son and the daughter of the local laird. The intertwining of the stories is nicely done, providing some interesting counterpoints between the two periods and how the past intervenes in the present. Whilst the Lewis story is compelling, the present day investigation is less satisfactory, with a little too much melodrama at times, a rather contrived personal situation, a weak investigative plot that relies on the team ignoring evidence, including a second death and an attempted murder, and a resolution that didn’t ring true. Nonetheless, some of the telling is very good, producing a page-turning read, with nice historical contextualisation concerning the Highland clearances and emigration to Canada, and a strong sense of place in Scotland and Canada. The result is a story that is a little uneven, with a somewhat weak ending, but is still an engaging and entertaining read. I appreciate your candor about this. I keep hearing things about this one. 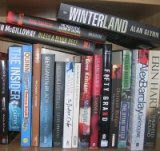 It's still on my list, but I am glad to get your thoughtful and honest comments about it. Loved the first two so I am sorry to hear this. Maybe he is writing too fast.